This is a sponsored conversation written by me on behalf of Equal®. As always, the opinions and text expressed below are 100% my own. The weather has really started to warm up around here, and it seems like I am suddenly realizing that the season of shorts, cute summer dresses, and swimsuits is right around the corner. (Please tell me I am not the only one who is panicking just a little over this. ;) ) We literally went from one weekend of temperatures in the 30's with 2 inches of snow on the ground to the next weekend being sunny with temps hitting over 70 degrees! So now that I am realizing that soon I won't be able to hide the extra "padding" I have acquired over winter inside my big comfy sweaters anymore, I have been making a few changes to my diet and to my exercise routine. And yes, I end up doing pretty much this exact same thing every. single. spring. One change that I am making right now is cutting back on calories by making little swaps here and there. A glass of iced water with a squeeze of lemon instead of pop. A piece of fruit instead of a cookie. And swapping my usual sugar in my morning coffee, evening tea, and smoothies with 0-calorie Equal® packets. 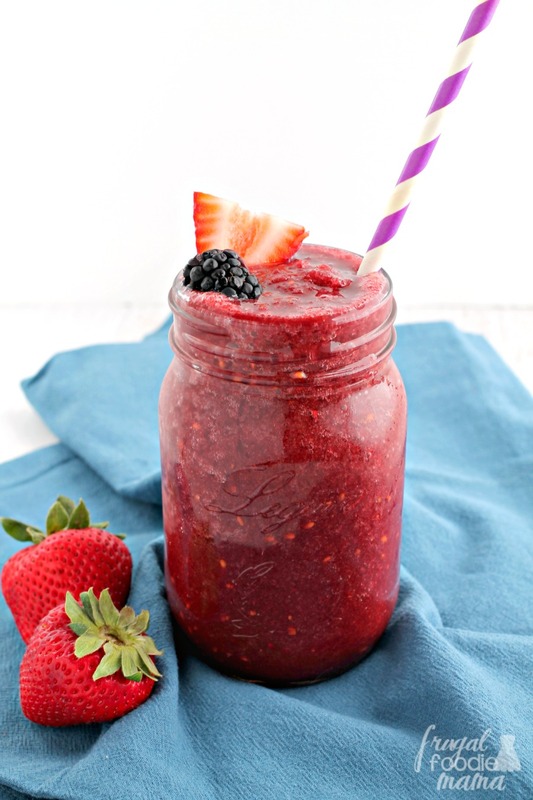 Make the berry flavored tea a few hours before you plan to make your smoothie (or even the night before like I did). 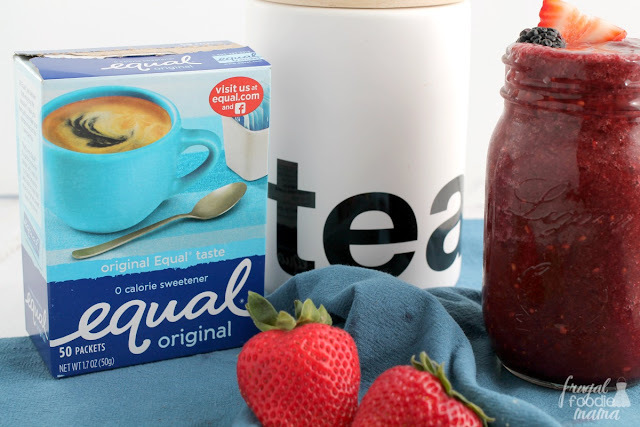 After steeping your tea, stir in the Equal® packet(s) while the tea is still warm. Chill in your fridge for a few hours or overnight. 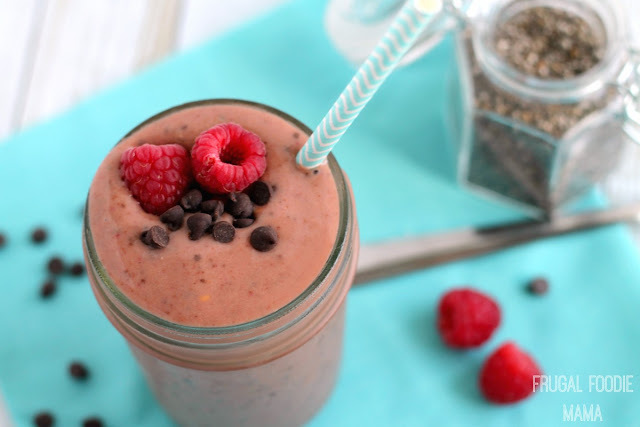 To make your smoothie, add all the ingredients to your blender and blend until everything is well incorporated & smooth. 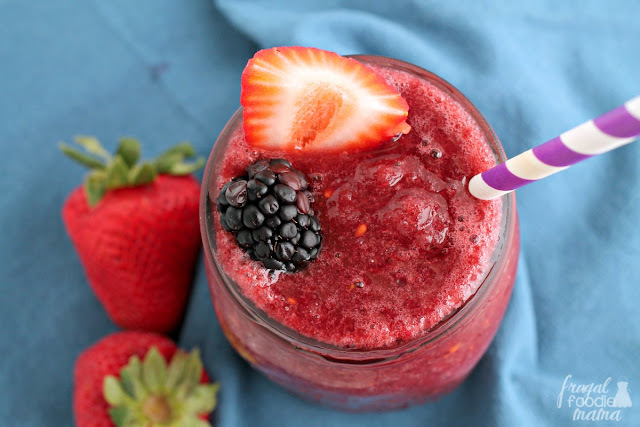 Garnish with a fresh or frozen blackberry & strawberry, if desired. Enjoy immediately. You all know by now that I have a mean sweet tooth, but all those extra calories from sugary treats and drinks can really start to add up. That is why I am glad that I have found a great-tasting, sugar alternative in Equal® packets that adds just the right amount of sweetness without adding extra sugar and calories! 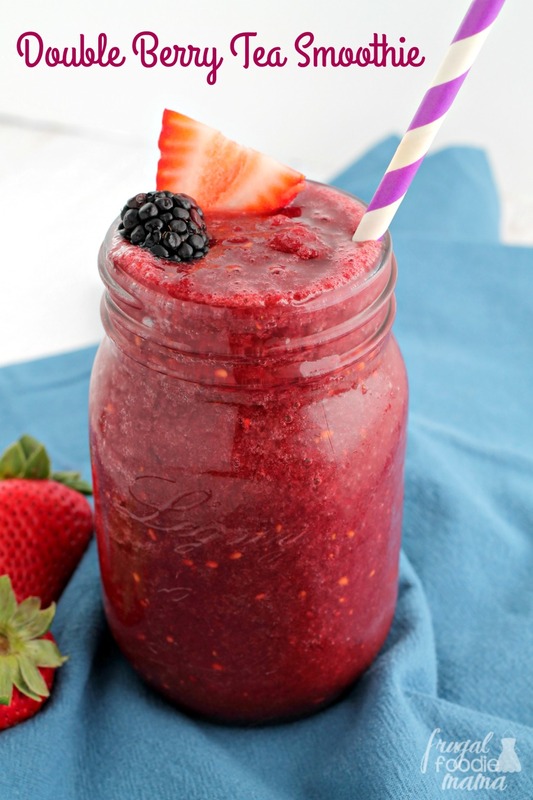 :) Not only is it perfect in this Double Berry Tea Smoothie, but Equal® packets are great for using in your daily coffee or tea, to sprinkle over fruit, or even to use in your favorite baking recipes instead of sugar. 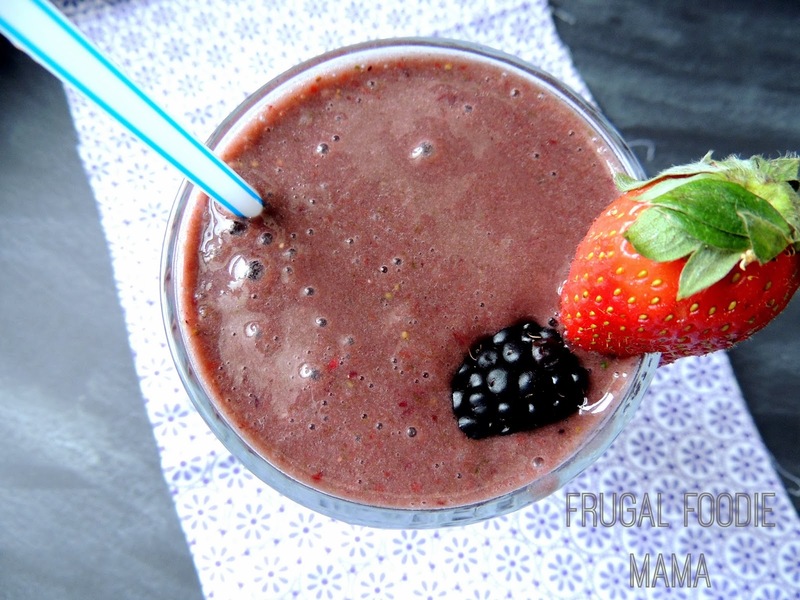 I used frozen blackberries & strawberries in this smoothie recipe, but you could certainly substitute raspberries, blueberries, or even cherries in this. I do recommend that you use frozen berries as it helps to give the smoothie that frosty texture without having to add in a ton of extra ice. 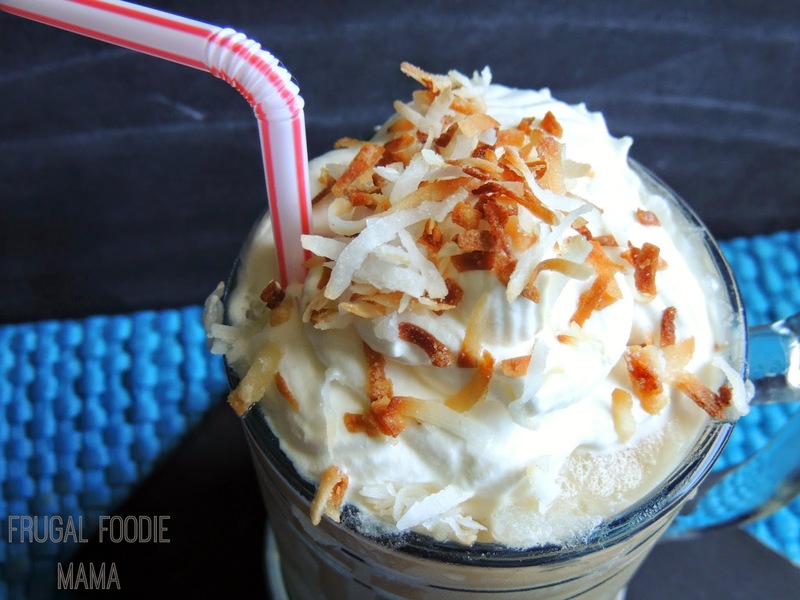 This smoothie is also 100% dairy free which is a plus for those of us who are lactose intolerant or that suffer from dairy allergies. And Equal® 0-calorie sweetener happens to be a great alternative for those who are living with diabetes to reduce their sugar intake & keep their blood glucose levels in check. How would you make 0-calorie sweetener swaps in your diet using Equal® packets?